King Kress (クレス王, Kuresu-ō; FUNimation "King Kress") is the king of Fiend Village. King Kress appeared in "Goku Goes to Demon Land". He asked Goku to enter the Demon Realm to save his daughter, Princess Misa. She had been kidnapped by Shula, the king of the Demon Realm, who planned to marry her. After Goku rescued her and left the Demon Realm, he returned her to her parents. 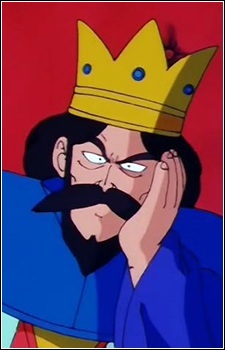 King Kress appeared to be very grumpy when he first met Goku, but became very happy and grateful after he saw that Goku had saved his daughter. He also was aware of the existence of Turtle Hermit.